2017-2018 Competition Team What a great season we had! Would you like to compete in dance? We can help! Our dance team consists of 4 levels so everyone is welcome! Crackerjacks! Our beginning level group is full of fun and high energy! Team members learn the basics and can perform at the novice level in competitions to improve their overall skills and confidence! Hotshots! Has your child danced before but never competed? This group will help your child gain the skills to improve to the next level without the pressure of high stakes competition. Aces! You guessed it! These girls have competition experience and are ready to rock the stage with their moves and facials! Elites! These are our super competitive dancers! 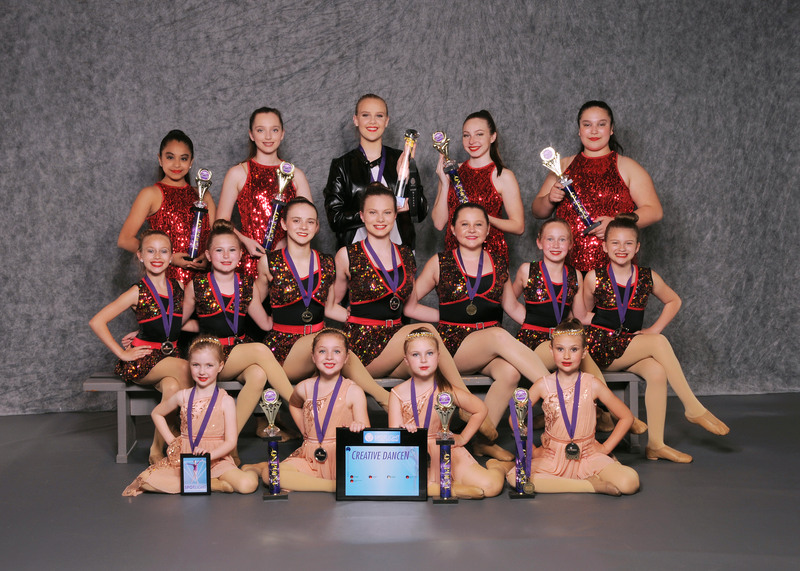 Years of competition experience and dance training, these girls work tough skills, giving them opportunities only the most dedicated and driven dancers would appreciate! Age does play a factor into our groups, but ability is taken first. We encourage anyone who is interested in competing to contact us for more detailed information! (574) 299-0166 Click here to send us your questions!